This pack includes: Moly, Neapolitanum, Ostrowskianum, Caeruleum allium. Also known as persian onions or mountain bells! Alliums make excellent plants for the middle or back of borders. 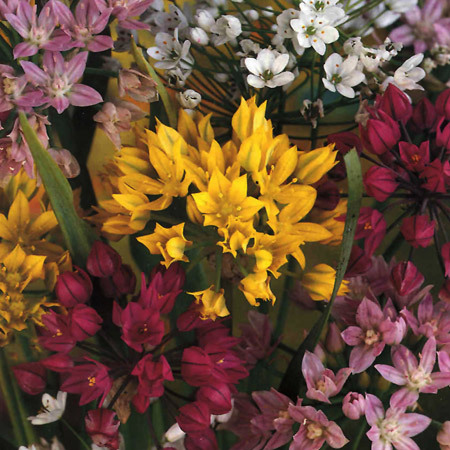 Alliums also make excellent cut flowers and are long lasting in water. 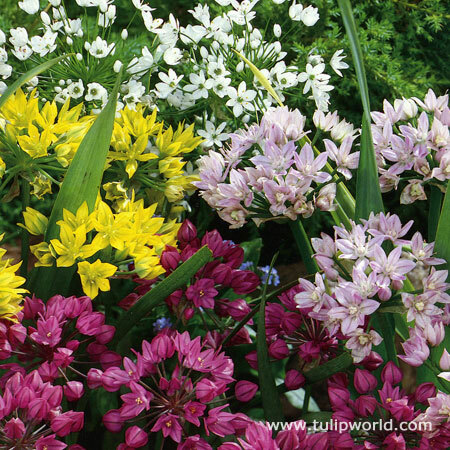 This mixed assortment will add beautiful color and height to your garden. Allium are rodent and deer resistant.